New face-tracking technology makes the 3DS XL's glasses-free 3D more stable, for a better, and less nausea-inducing overall experience. 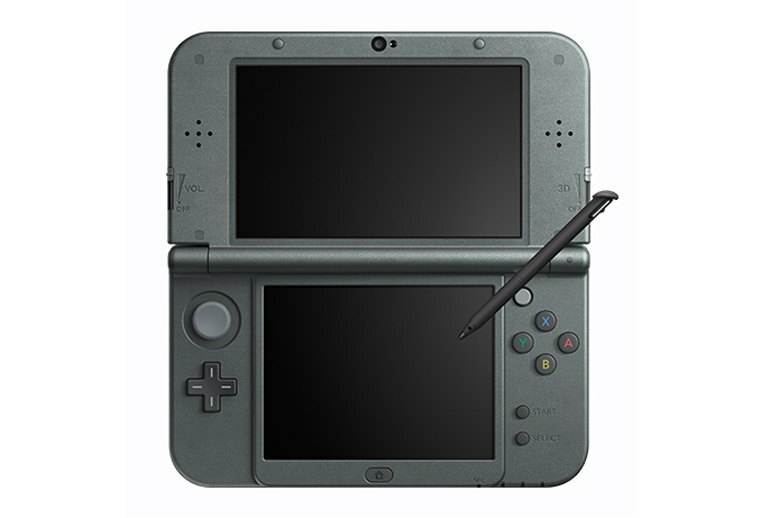 The new 3DS XL includes two new buttons and an extra joystick, which, while not life-changing at the moment, will be useful as developers integrate them into games. The wider viewing angle means you'll be able to look at the screen from the side without losing the 3D effect. The SD card slot is now a microSD card slot located inside the battery panel. You'll need a (special) screwdriver to access this port. The glossy outer shell looks nice but attracts fingerprints unlike the older model's matte shell. The 3DS XL's graphics are overshadowed by those of the PlayStation Vita, though Nintendo's handheld has a better selection of games. 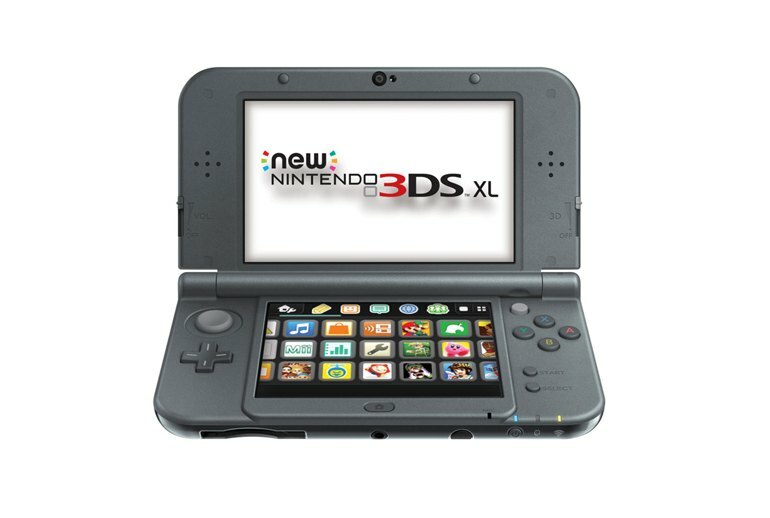 The Nintendo 3DS XL gets a revamp in the 2015 edition that includes a more powerful processor, better 3D technology, and a handful of new buttons and controls. The biggest improvement in the new 3DS XL is the introduction of eye-tracking technology that tracks where you're looking to make the handheld's glasses-free 3D more stable. Thanks to this tech, the new 3DS XL also has better off-axis viewing angles, so you don't have to be directly in front of it to experience the 3D. The new 3DS XL plays all older 3DS games and will feature exclusive titles in the future. The new console now has a much wider viewing angle, retaining the 3D effect while you move and jiggle about much more than ever before. If, as a 3DS owner, you've been considering investing in a 3DS XL, now is the time to do it – not only will you get the bigger screen with the New 3DS XL but the other improvements will make it a better upgrade overall. Don't be fooled by that puny-looking grey nib that's sprouted on the right hand side - it's a fully-fledged C-stick capable of 360 degree movement. It feels stiff but it's surprisingly sensitive. By smartphone standards that's not much of a resolution, and even less so when you consider that it's divided into 400 x 240 per eye by the 3D tech. Yet this is the crispest, brightest and most vibrant display we've yet had on a 3DS, and certainly the one on which 3D is most effective. 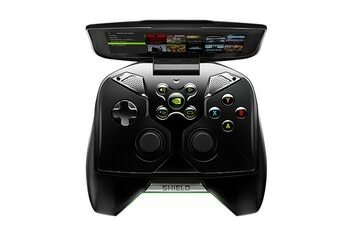 It has more buttons, a built-in second analog stick, impressive new facial tracking technology and, most importantly, a more powerful set of processors. While the New 3DS' button layout makes it a joy to use, there are some things about the hardware I don't love. The system's glossy outer shell (available in charcoal and red, alongside some shiny special editions) looks nice, but it's far more susceptible to fingerprints than the matte paint job on the original XL. While you probably already have a smartphone that takes better shots, the New 3DS camera is at least a step up from before, with sharper images and better performance in low-light settings. Other than the niftiness of taking photos in 3D, you’re still better off snapping pics from your phone. While some users have complained the position of the power button and game card slot mean you could accidentally eject a game card or power down mid-game, it's not something we experienced in our extensive playing. Easily the biggest addition, though, is its enhanced 3D functionality, which uses a camera to track the position of your eyes, automatically adapting the image to look as good as possible without silly-looking 3D glasses. One thing about the new design that is far from ideal is how the SD card slot has changed to a microSD port located underneath the closed back battery panel, which is fixed in place with two small screws. The New 3DS XL still falls well behind Sony’s PS Vita in terms of graphical fidelity—though it more than makes up for this with the stronger catalog. 66% Said they'd buy it again. The New 3DS XL has some fantastic new features (oh, the puns). 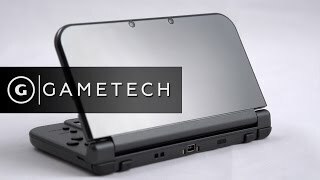 Here’s why I think it’s worth the purchase for even regular 3DS or 3DS XL owners. THE GOOD: The improved 3D effects made possible with head tracking is the best addition. It’s no longer a chore trying to line the 3D screen up just right in order to view games in 3D. In fact, I used to just shut 3D all the way off for every game on previous 3DS models. Not anymore! Nintendo also included a faster processor and extra RAM to make loading games faster. One of my 3DS favorites, Super Smash Bros., used to take what seemed like forever to load. The New 3DS fixes that right up. Beyond faster load times, the New 3DS XL includes a better WiFi chip for improved network speeds. 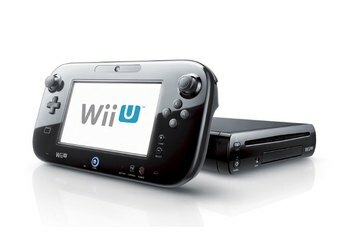 This really helps when downloading new games off the eShop, and playing games like Smash Bros. online with less latency. I also like that they finally included a second analog stick of sorts. Dubbed the analog nub, it acts as an additional directional pad that helps make controls easier in games like Resident Evil, and Smash Bros. I really like this for performing smash attacks in Smash Bros. 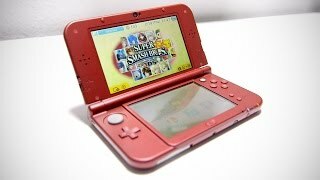 THE NOT SO GOOD: After the build quality of the DS lite, and the DSi, I would have expected Nintendo to do even better with the 3DS. 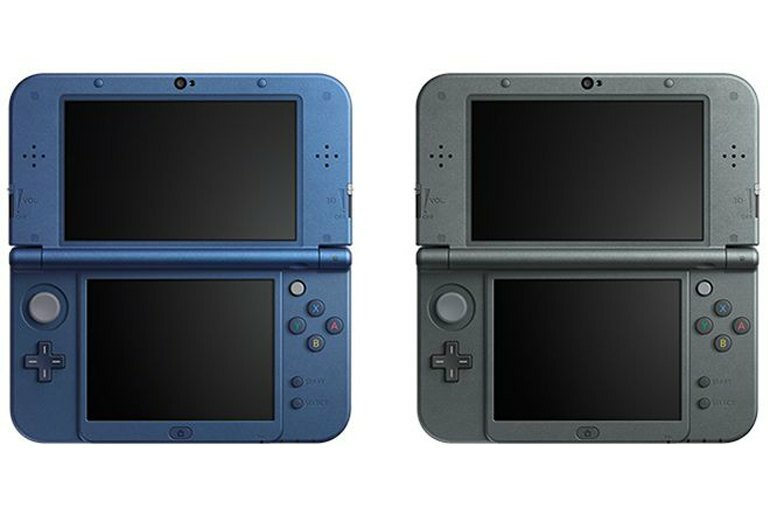 Unfortunately, all three (four if you count the 2DS) iterations of the 3DS, which includes the New 3DS XL, have had mediocre build quality. Everything is just a little too cheap feeling. Understandably, Nintendo builds their products to withstand the wear and tear of youngsters, but it’s not an excuse for using all plastic in the New 3DS XL. Despite it’s utility, the analog nub is also a bit strange to use sometimes. It takes a lot of getting used to, and isn’t always very responsive when playing games like Smash Bros. Battery life is still not particularly great on the New 3DS XL. It’s a bit better than the normal 3DS XL, especially with the 3D off, but I would have liked to see the battery last longer. CONCLUSION: Most of the things I don’t like about the New 3DS XL are easily overshadowed by the new additions the system provides. 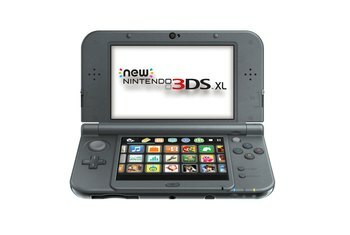 If you’re still a DS owner looking to upgrade, the New 3DS XL (or the New 3DS releasing soon) is a no-brainer. As a 3DS, 2DS, or 3DS XL owner, the New 3DS XL is still significant enough to warrant the upgrade, but only if you play your system enough to justify the new perks. 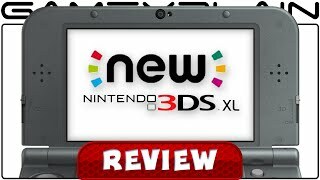 Is the New Nintendo 3DS XL Worth It?